This top of the range physiotherapy couch is a 6-section couch, providing stability and rigidity, with a wide choice of top configurations to suit individual user requirements. All models are electrically operated for height and optional drainage positioning. The electric height adjustment is standard with integral footbar switch. 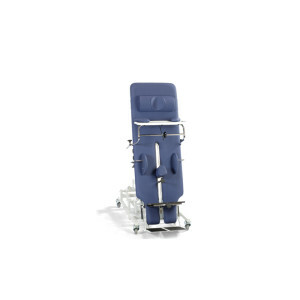 It is widely used and an adaptable couch for hospital physiotherapy departments, offering different head configurations with breathing holes and removable plugs. These are essential for face down treatment and manipulative procedures used by physiotherapists, osteopaths and chiropractors. The streamline base allows for hoist access and in addition the variable height descends low enough for wheelchair transfers to enable easy mount for the frail and elderly or for those with physical deficiencies. Quality lasts. This premium couch range is designed and manufactured to the highest standards with a focus not only on patient comfort & safety but also on promoting good posture for all care givers. 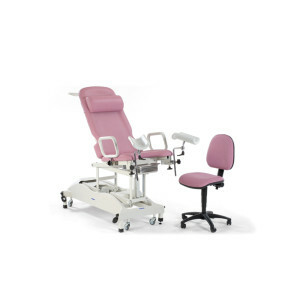 Supplied as standard with Gynae 3 Deluxe (Model 2257) and available as a cost option for all other gynaecology couch models (Gynae 3, 2 & 1). This extension may be inserted into sockets beneath the seat section to extend the overall couch surface when required and then removed and stored after use. It does not fold down. A 2-section examination couch offering ergonomic/manual handling solutions to a wide range of clinical and therapeutic procedures. Strong and rigid design with a safe working load of 225kgs, this couch is designed to promote good posture for the practitioner. 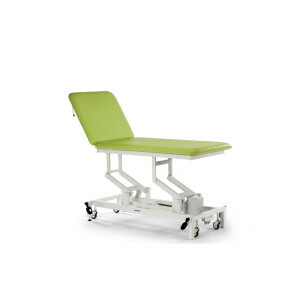 This versatile couch is used mostly in consulting rooms within Hospital clinical environments, such as Outpatient departments, Accident and Emergency, Ante Natal, ENT as well as GP surgerys. There is little to limit its application. This 2-section mobile treatment couch is fitted with fold-down side supports and a linked large wheel based system with steering facility. 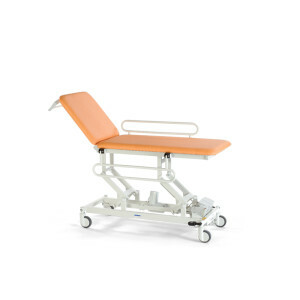 This versatile couch is used mostly in consulting rooms within Hospital clinical environments, such as Outpatient departments, Accident and Emergency, Ante Natal, ENT as well as GP surgerys. 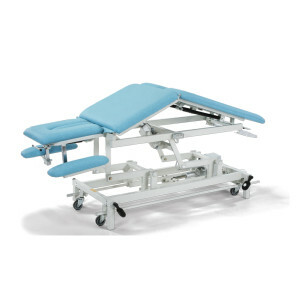 The Tilt Table range has numerous applications in both examination and treatment procedures. Tilt tables are used extensively in the area of functional rehabilitation for the handicapped and disabled patient where the requirement to stand or be upright is of paramount importance. The couch assists the natural gravitational functions of the body, re-educates the balance mechanisms affected by long periods of lying and gives a degree of independence.